"...desire to embark on a transformative journey and reshape their life." Interested in being a part of Soldiers to Summits’ Mission: Mt. Whitney team? 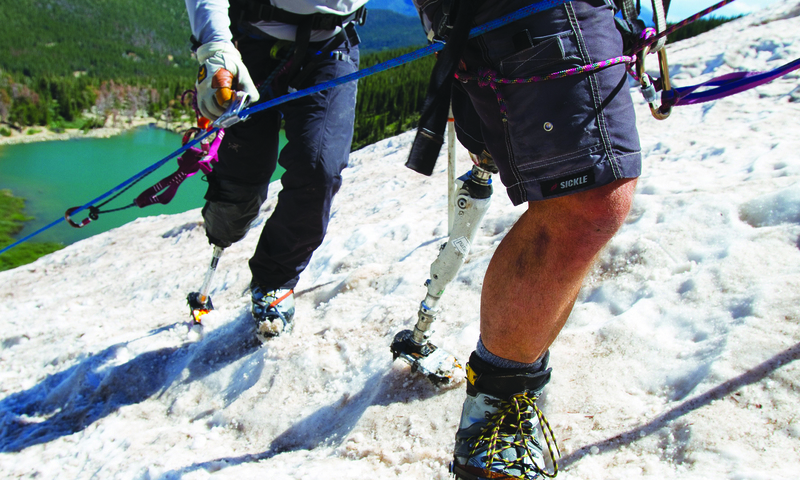 Soldiers to Summits is looking for wounded veterans or service members who seek adventure and possess a spirit of determination to be a part of this experience. The cost of this program is free and includes travel, accommodations and gear. While the expedition is only two weeks in length, acceptance into the program is a 12-month commitment that includes: mandatory participation in meetings, webinars, two Colorado trainings, at-home community service projects and the expedition itself. Please see Key Dates, the Application Process and Applicant Requirements below. To apply to be a part of our Mission: Mt. Whitney Team, interested participants can/should apply online at: www.S2S2014.org/application. The application period opens Tuesday, February 18 and closes Friday, March 21, 2014. Incomplete applications or applications received after March 21, 2014 will not be accepted for consideration. Those accepted onto the team will be notified the week of April 7, 2014. • Veteran or active-duty service member with a service-related injury or disability. • Expressed desire to embark on a transformative journey and reshape their life. • Demonstrated experience playing a role in effective teams. • A background check will be conducted for all applicants upon being accepted into the program.